As part of Numatic International’s commitment to product support and machine upgrades we have upgraded hoses to a new more robust design. 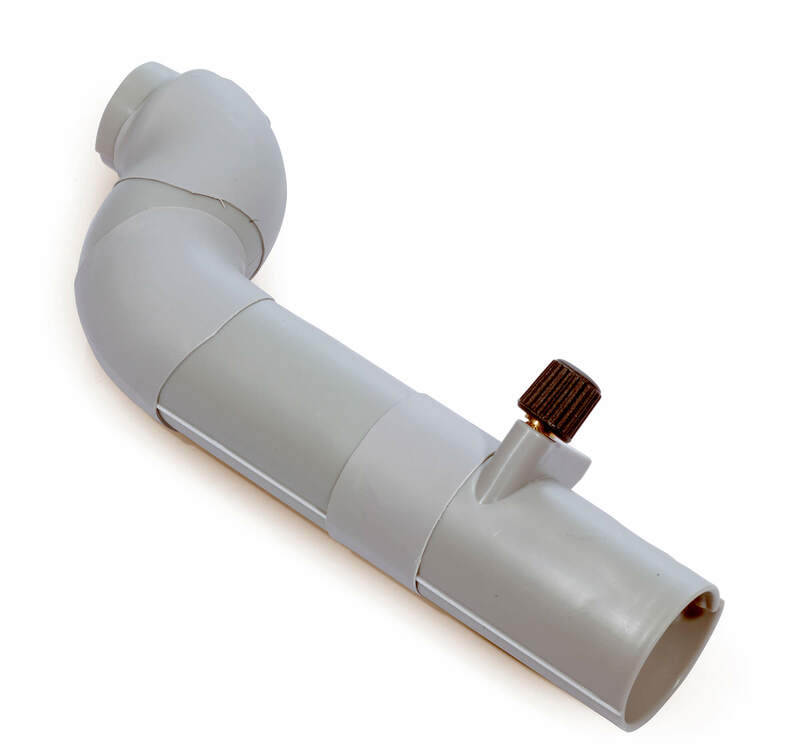 The stretch hoses have changed material from PVC (Polyvinyl Chloride) to a PU (Polyurethane) which gives greater resistance to damage. 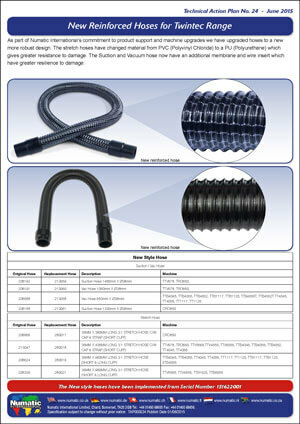 The Suction and Vacuum hose now have an additional membrane and wire insert which have greater resilience to damage. 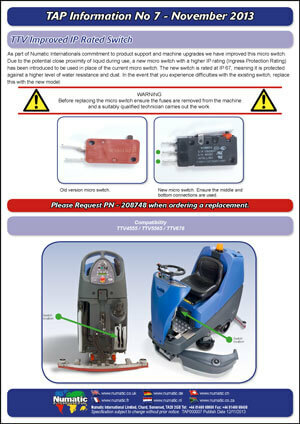 As part of Numatic International’s commitment to product support and machine upgrades we have a new angled hose which fits onto the floor tool. 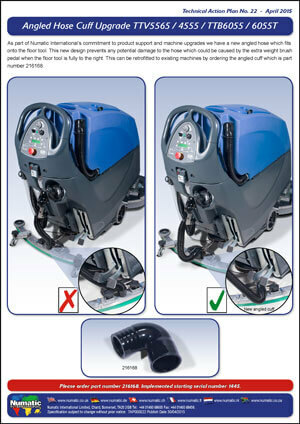 This new design prevents any potential damage to the hose which could be caused by the extra weight brush pedal when the floor tool is fully to the right. 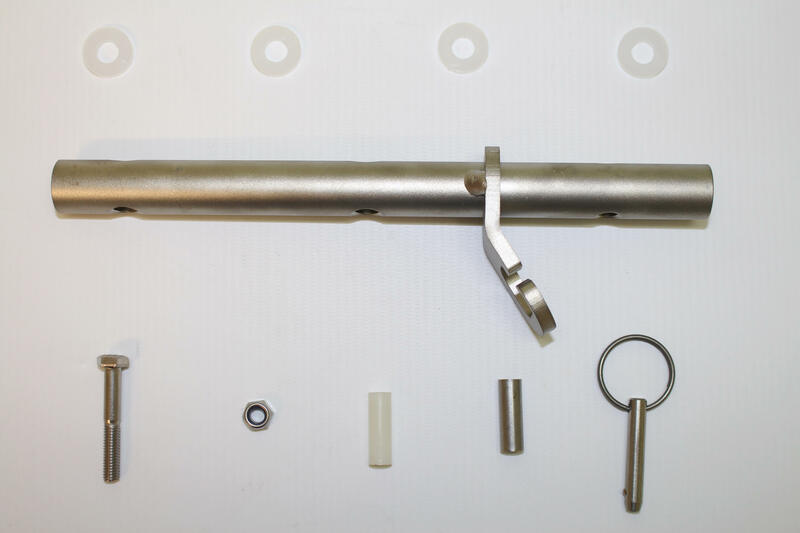 This can be retrofitted to existing machines by ordering the angled cuff which is part number 216168. As part of Numatic International’s commitment to product support and machine upgrades we have produced two new foam reduction kits which can be retrofitted to earlier models. 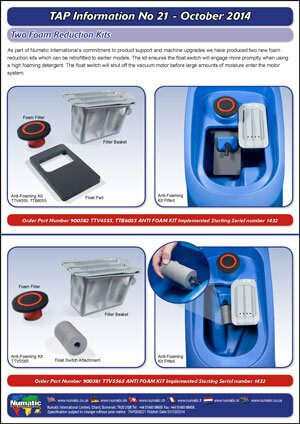 The kit ensures the float switch will engage more promptly when using a high foaming detergent. 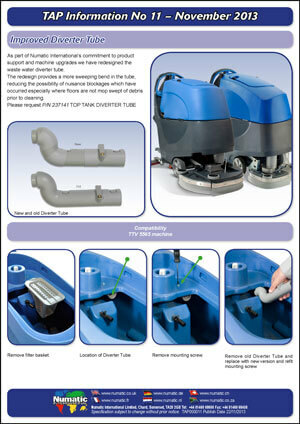 The float switch will shut off the vacuum motor before large amounts of moisture enter the motor system. As part of Numatic International’s commitment to product support and machine upgrades we have improved the drive wheel from the 206727 200MM DIA X 50MM WIDE WHEEL Aluminium cast style wheel to a black plastic moulded with a PU (Polyurethane) tread. This new design removes the current problem of corrosion and the associated problems this brings when having to replace the wheel. 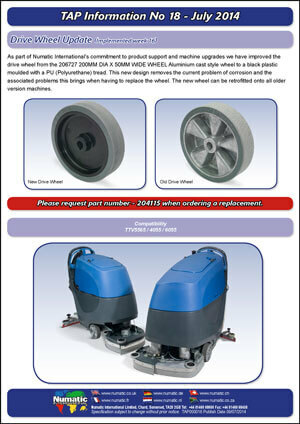 The new wheel can be retrofitted onto all older version machines. 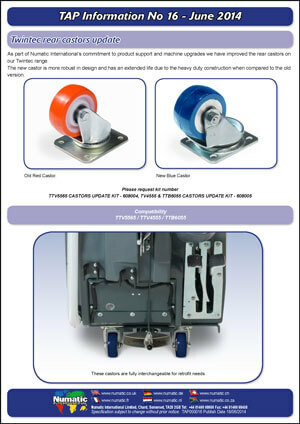 As part of Numatic International’s commitment to product support and machine upgrades we have improved the rear castors on our Twintec range. The new castor is more robust in design and has an extended life due to the heavy duty construction when compared to the old version. 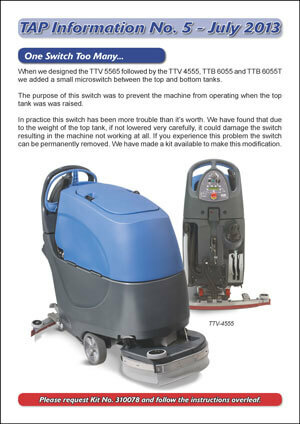 When we designed the TTV 5565 followed by the TTV 4555, TTB 6055 and TTB 6055T we added a small microswitch between the top and bottom tanks. The purpose of this switch was to prevent the machine from operating when the top tank was was raised.